I’ll admit it, I AM a tutorial junkie….there I said it…..
It’s true though, and it makes total sense in my case. I LOVE to create and to make, and obviously these days, with a search engine at our finger tips, it’s amazingly easy to find out how to do ANYTHING with simply the click of a mouse. There are so many creative ideas and fascinating inspiration floating around the web and blog land. I couldn’t help my excitement when I came across the first tutorial I actually ever tried out. 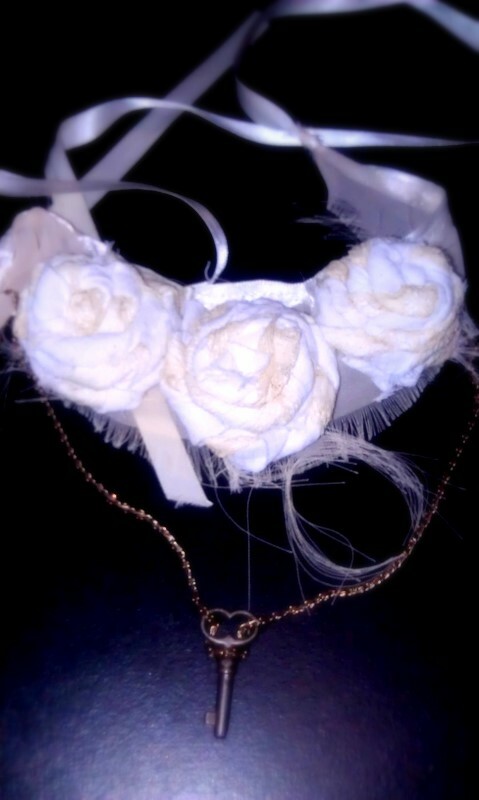 It was on this awesome blog that I found so many neat things to make. This woman is amazing with her creative talents!! I also found myself taking a liking to this “re-fashioning” business. The concept is basically all about recreating and bringing new life to the underused or old clothing. As long it’s salvageable of course. It might not be everyone’s cup of tea, but I feel that it’s a small way to make my contribution in reducing the waste in this world by re-inventing something that would otherwise be discarded. 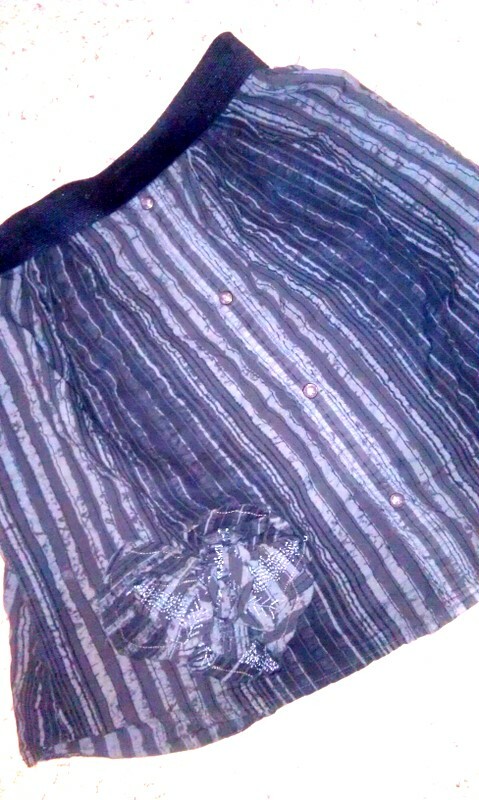 Eventually I also found some re-fashioning ideas on men’s shirts like this one here as well. 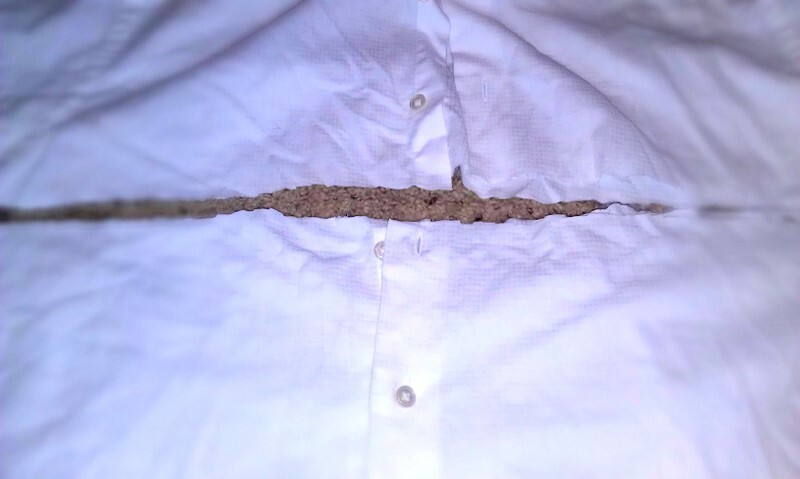 That was when my first ‘men’s shirt to skirt’ refashion came about. That also began the blossoming of a relationship with my Nana’s (My Dad’s mom’s) sewing machine which I was thankfully given to use. 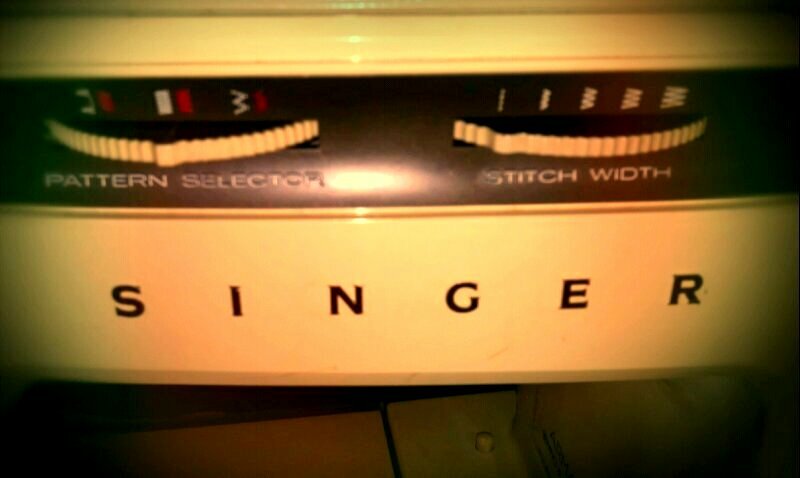 It is a very vintage piece of machinery from the 70’s, but it held up very well over the years….they just don’t make sewing machines the way they used to. LITERALLY!!! It’s not the best picture or work but it turned out rather nice overall. I added an elastic waistband to it, as well as tried my hand at some applique detail at the bottom there, by cutting pieces from the upper chest of the original shirt and creating a leafy design. It works with a lot of outfits and obviously who can go wrong with a custom, one of a kind Diesel skirt right? So I have waited to get started on another shirt project, but now that time has come!! I truly found this project quite easy, especially because it requires no pattern or crazy sewing skills. There are some out there, that get more involved but I chose to keep it simple for myself. I also decided to do this one without that elastic waistband as I did in the first one. cut it pretty much across the from the lowest point of where the sleeves begin like so. 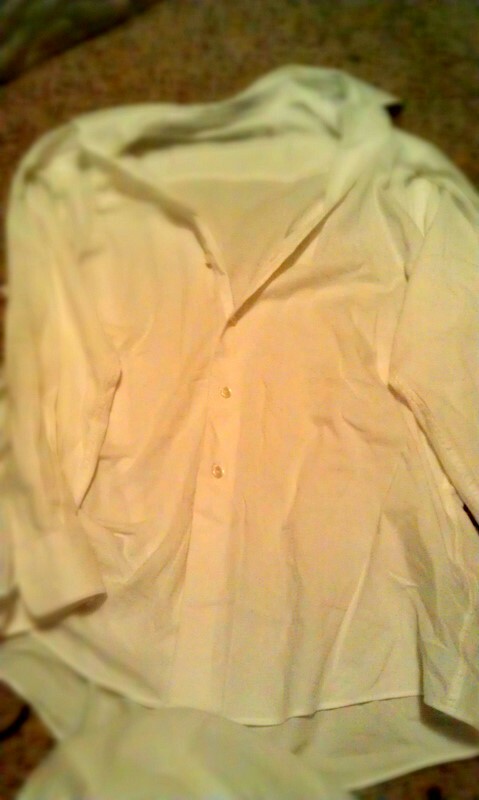 The bottom part of the shirt is what will become the skirt, so you can set aside the upper piece after you cut it off. You can get very technical about this if you have a sewing guide with measurements, but I really eyeballed it and that wasn’t horribly wrong. My conclusion is that this project is easy enough that you can get away with that! So you now should have a long enough piece to use as a skirt. Slipping it on at this point might be a good idea, just to make sure it falls where you want it. I personally wanted this skirt as a high-waisted skirt to use with a waist belt, so the length worked perfect! Next I sewed down the outer edge from where it buttons down so there will be no lifting or embarrassing “peek-a-boo” between the buttons. 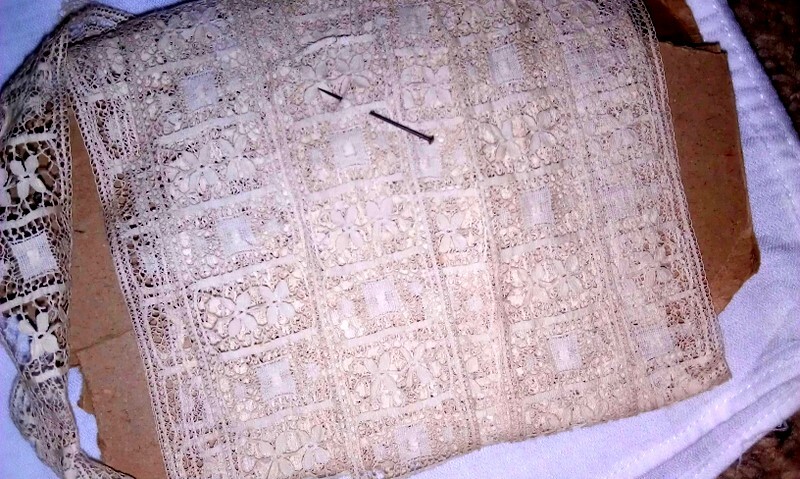 This should be a vertical line using a straight stitch all the way along the opening of where you would normally button it up. I start from the bottom and work my way up towards where the waist of the skirt will end up. You can follow along the already finished edge so that it still looks like a shirt just all the way closed if that makes sense. 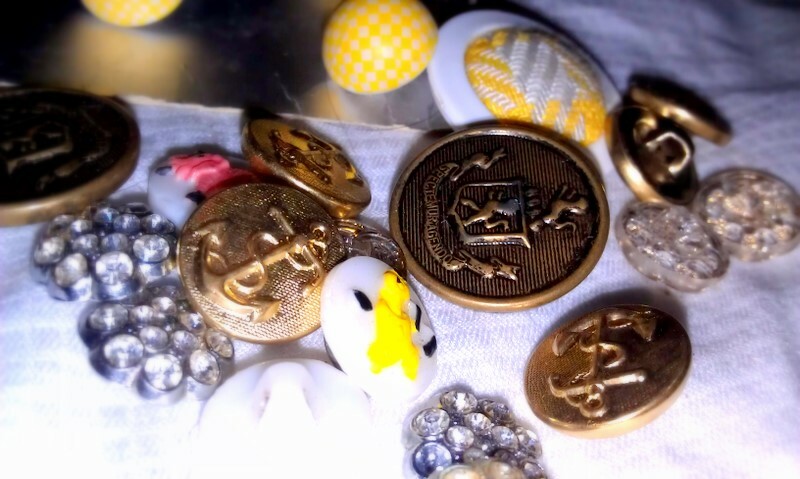 A variety of old buttons!! 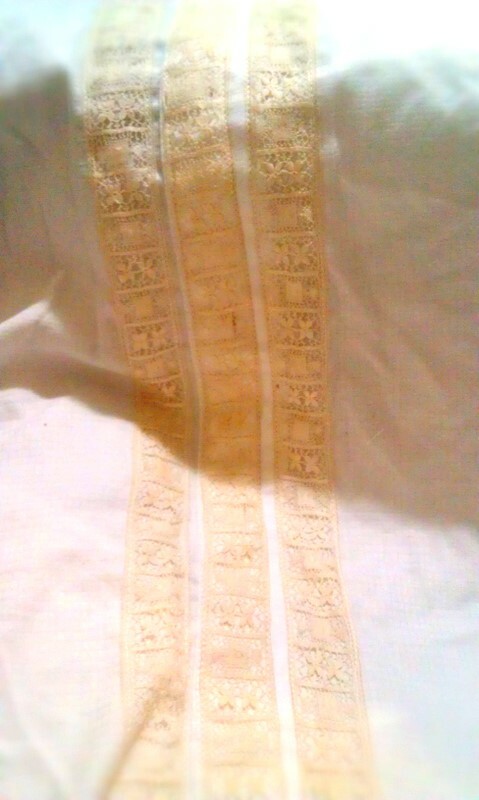 So I ultimately decided to add 3 rows of lace. 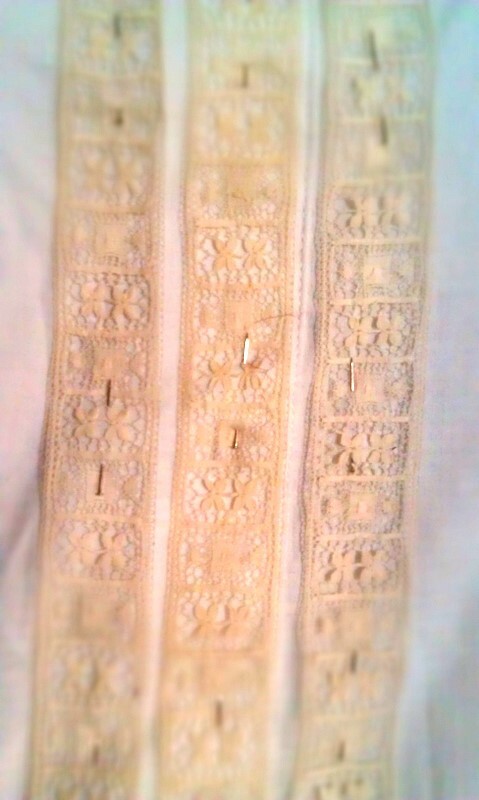 One straight down over where the buttonholes are and a row on either side, with a bit of extra overhang off the bottom for some added character. Pin into place so it stays. The next thing I did was make a casing for the elastic to go inside the waist part of the skirt. 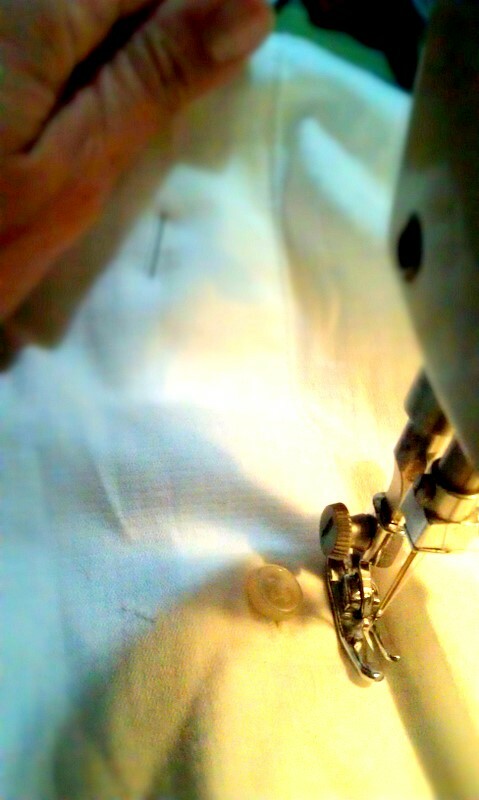 Turning the skirt inside out for this step, you then want to fold over about an inch from the top down to the inside. This casing should be wide enough to slip your elastic through easily. It is wrong side facing…which means that the case and raw edge will be facing you and should be on the inside of the skirt. Pin it into place. 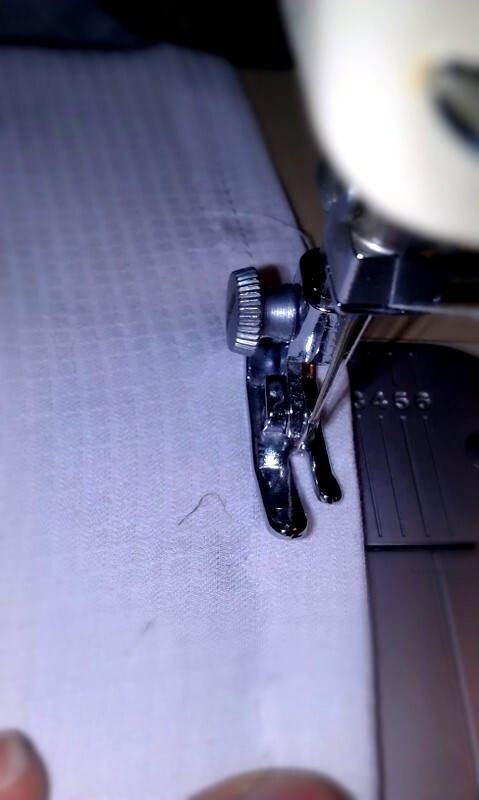 I then flipped my skirt back to right side out and sewed it on a straight stitch again all the way around, being sure to stop and leave about an inch gap open to feed my elastic through. I didn’t get the best photo’s again, but it’s something! Now you want to get your elastic ready by measuring around your waist and deducting an inch from the measurement. 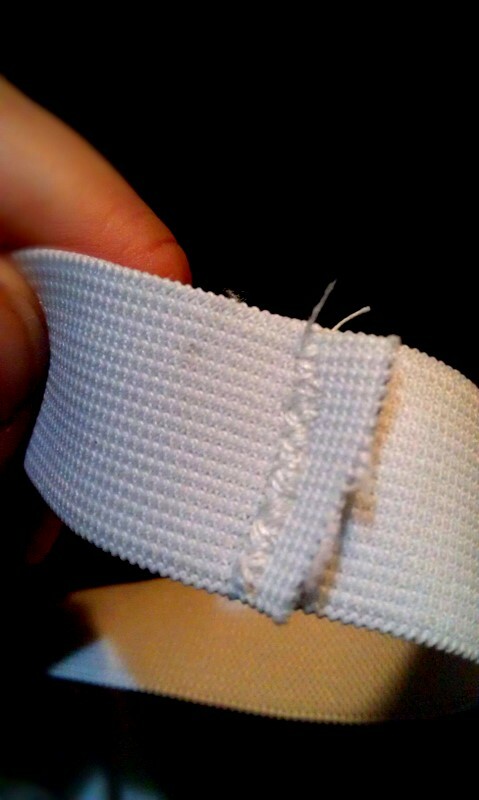 Or I just hold the elastic around as tight as I will want the finished product and trim it straight from there. 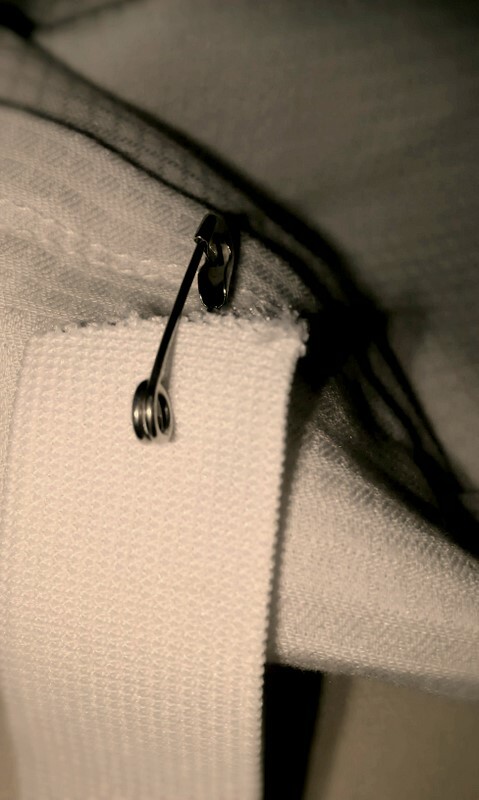 Once you have your piece of elastic cut and measured, you need to attach a safety-pin which is easiest to feed it through the waist of the skirt. Now feed the elastic all the way through and then zig-zag stitch the 2 ends of elastic together so it is nice and secure. Going back and forth several times between normal and reverse stitch is super fast! Then you just need to sew closed the gap that was left along the waist to insert the elastic. Change back to straight stitch again for that! I didn’t get a picture after doing that step. 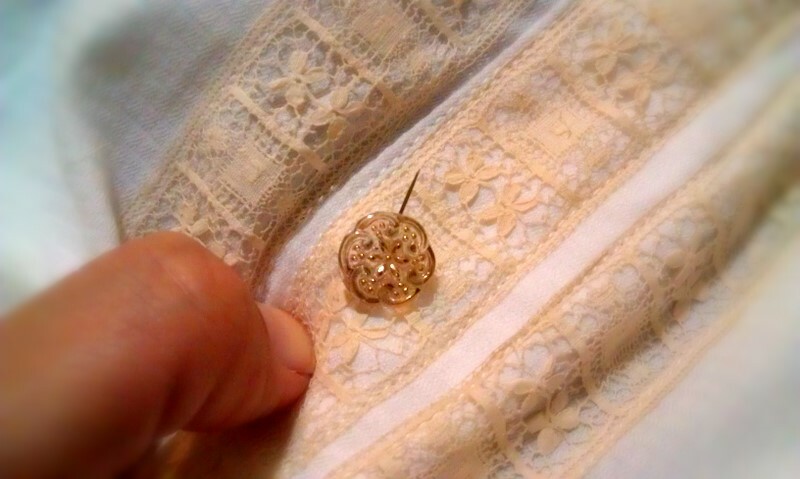 I next attached my buttons. That was my last step!! Easy as pie… if you can at least use a sewing machine. You could bust out a new wardrobe of skirts in no time! 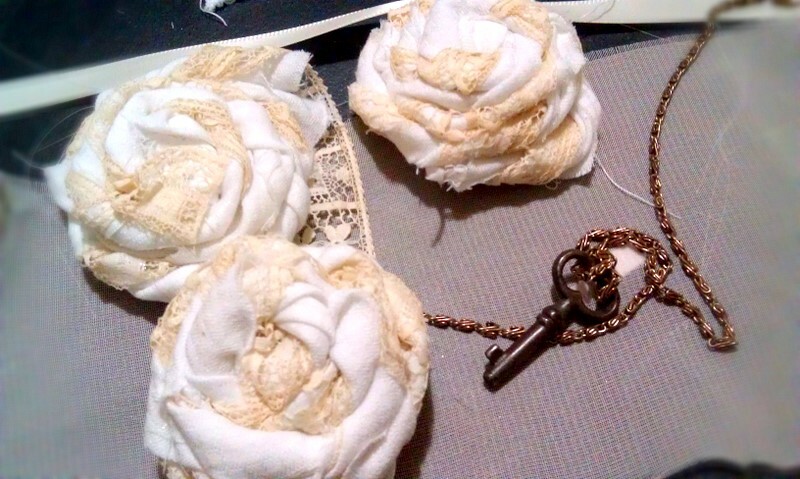 I also couldn’t let scraps go to waste, so I made a couple of rolled rosettes with some extra lace and shirt fabric and I pieced together a coordinating necklace for my outfit. The best part was I made use of a miniature key that came in a key collection that was passed down to us by my husband’s grandma. I just find great pleasure in reusing things from the past and giving them relevance in my life today, rather than it sitting somewhere collecting dust until who knows when!